Posted: Friday, February 8, 2019. 3:27 pm CST. By BBN Staff:Today, the Belize Electricity Limited (BEL) informed customers in the Belize District that two power outages would affect them in their area. The power outages began at 8am and will go through to 4pm. Areas affected include Mile 2.5 to Mile 37 on the Philip Goldson Highway including West Landivar, Coral Grove, Belama Phases 1, 2, 3 & 4, Bella Vista, Driftwood Bay, North End Estate, Ladyville, Vista Del Mar, Lord’s Bank, Green Estate, Lake Gardens, Dew Drop Estate, Maxboro, Double Run, Salt Creek, Los Lagos, Sandhill, Maxboro, Gardenia, Biscayne, Crooked Tree and Rhaburn Ridge. Villages along the Old Northern Highway and along the Burrell Boom/Hattieville Road including Fresh Pond, Burrell Boom, Scotland Halfmoon, Bermudian Landing, Double Head Cabbage, Isabella Bank, Willows Bank, Saint Paul’s Bank, Big Falls, Flowers Bank, Lemonal and Rancho Dolores are also being affected. 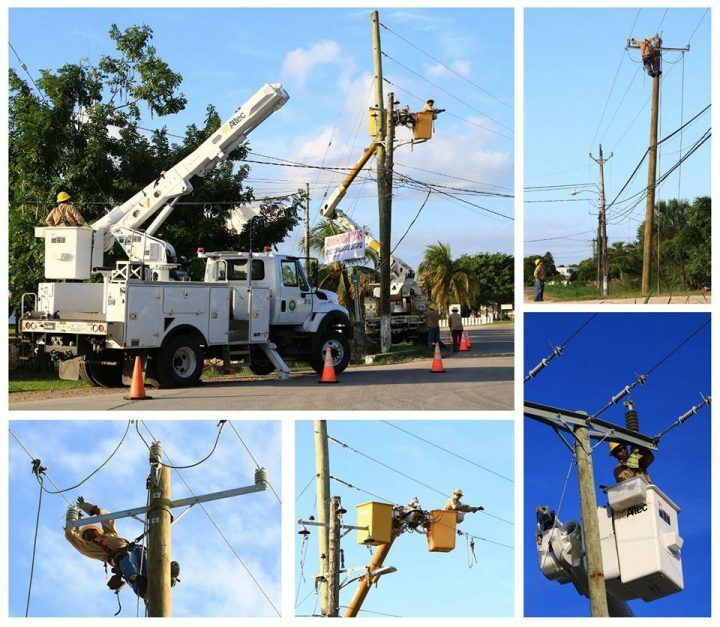 BEL says that it is in the process of relocating utility poles and power lines to facilitate construction of the new airport road and expansion of the Philip Goldson Highway, and conduct maintenance at Ladyville and West Lake Substations.